The luxurious do-it-all protecting multi-tasker. Formulated without water, the balm melts on touch to a golden fluid to protect, soothe and moisturize the skin. 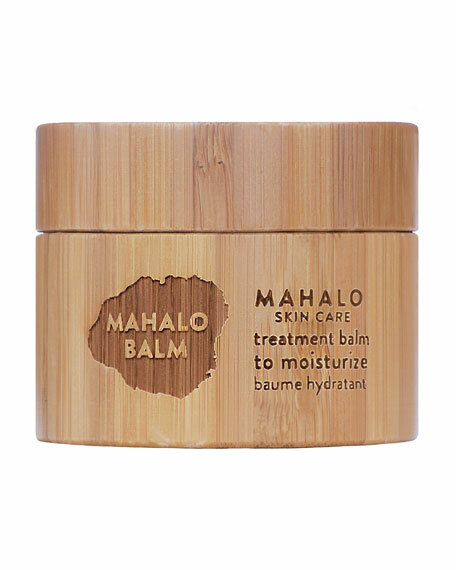 The MAHALO BALM, a shape-shifting balmy kahuna that is intentionally developed to thoroughly care for your skin. 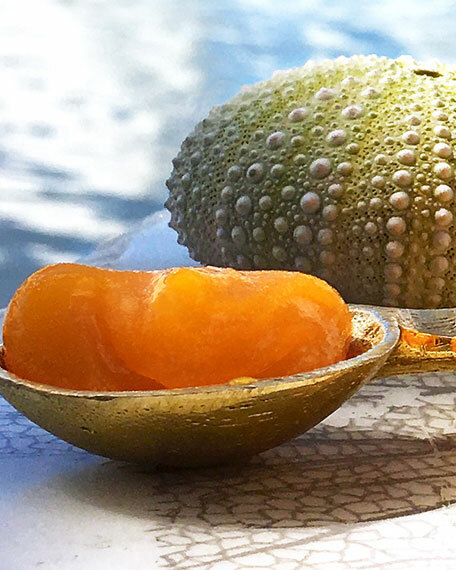 This silky potion regenerates the skin from the molecular level by engaging the arsenal of anti-inflammatory Turmeric, sebum-balancing Macadamia, acne-fighting Tamanu, tissue-repairing Carrot, eczema-soothing Neem, cell-regenerating Kukui, skin-repairing and emollient Sea Buckthorn, hydrating and scar-soothing Rosehip, skin-toning Grapeseed and humectant Beeswax. The deeply moisturizing performance is highlighted by notes of sandalwood, lavender, bergamot and jasmine that bring balance to the mood while fading away signs of aging and life stressors. Aroma: Gently herbaceous, with a grounding and Earthy aroma. Prominent notes are bergamot, jasmine, and turmeric. Skin Type: ALL. Ideal for dry to normal skins. Especially suitable for those concerned with dryness, irritations and sensitivities. Provides deep moisture for healthy skin. Calms inflammations for an even appearance. Protects the skin from environmental damage. Soothes irritated, sensitive and inflamed skin conditions. Regulates sebum production for a balanced complexion. Best when applied after cleansing with THE UNVEIL Cleanser and treating the skin with the VITALITY ELIXIR and / or the RARE INDIGO beauty balm to lock-in moisture and provide protection. Spread small amount over face, neck and décolleté, gently massage the skin. 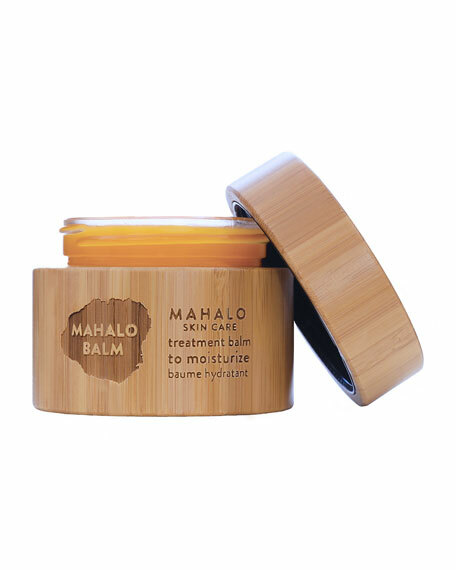 The MAHALO BALM works wonders as a night-time under-eye care to fade wrinkles and control puffiness. Also, try mixing with the VITALITY ELIXIR serum for an extra nourishing treatment.